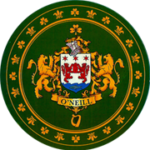 O’Neill’s has experienced managers, engineers, brewers, manufacturing, and other technical personnel with many years of practical experience. Our customers can choose from standard tank and system designs, they can supply their own designs, or we can custom design any tank or system you require. O’Neill’s offers complete turnkey design, planning and consulting services for both small and large projects—whether on individual tank jobs, new or used equipment or full system designs. We are staffed by experienced mechanical engineers, electrical engineers, programmers, technicians, brewers, and other support staff. O’Neill’s specializes in the design and manufacture of tanks and systems for the brewpub micro-brewing, and whiskey micro-distillery markets. We are staffed by experienced brewing engineers, mechanical engineers, brewers, and other support personnel.